No Claim Bonus - Save More When You Can! HomeCar InsuranceNewsWhat is NCB in Car Insurance India? How Is It Important? What is NCB in Car Insurance India? How Is It Important? What Should You Know About No Claim Bonus? Were you of an idea that four wheeler insurance companies have no reward for their policyholders? Well, you might be wrong. NCB for instance. There’s lots up for grabs if you haven’t made a claim in the preceding years. Before jumping straight in describing about NCB or No-Claim Bonus, it is worth studying a little about car insurance in general. It is no secret that having a vehicle insurance is mandatory now. Buying your dream car does not sum it up all, unless you wish to keep your vehicle parked in the garage. However, if you are eager to steer the gear and drive the car for real, signing up for a car insurance is ‘MUST’. Let’s quickly check out the benefits of having a car insurance. Car Insurance - Perks Unfolded! There are umpteen numbers of cars on road - do you agree? Therefore, the chances of putting up with road accidents is pretty high. Unfortunate consequences are next in line. Vehicle damage pops up first in the list. The victim might encounter injuries or put up with severe catastrophic consequences like total permanent disability and death. Now, bearing the burden of expenses under such circumstances is a heart-wreck in itself. It not just burns a hole in your wallet but spikes up your stress level by large. Having a car insurance is of great boon here. It cuts down your financial liabilities by leaps and bounds. 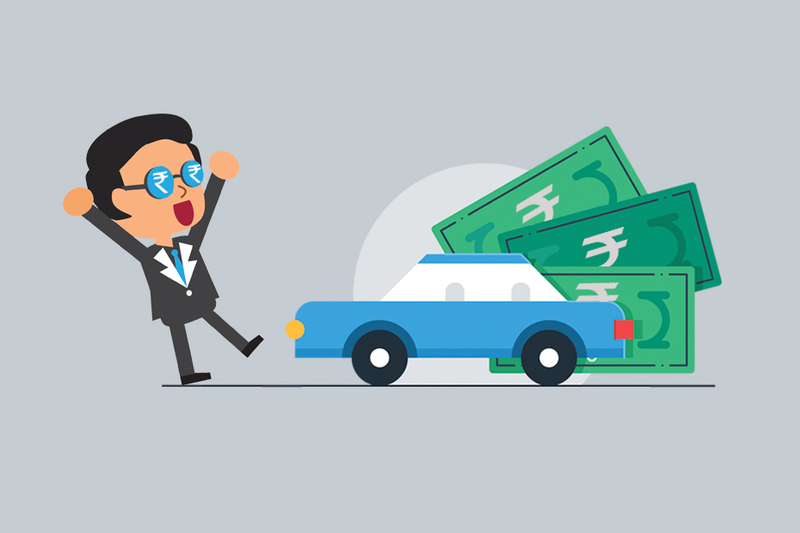 Here’s how having a vehicle insurance comes in handy. Covers for your financial liability - Damages in a vehicle are much less compared to the impairments in health or death at worse. However, dealing with these expenses are back-breaking. Having an auto insurance covers for these costs. Repair or replacement expenses are covered - Accidents can pave way for mammoth bodily damages in the vehicle. Little did you realise that paying to get these damages recovered or parts replaced can cost you riches. After-all, there’s been a massive increase in labor costs. Gives you an edge in terms of finance when your vehicle is stolen - Theft and robbery is unprecedented. If unfortunately, your vehicle is stolen, do you think it would be easy to get your finances straight and buy a new vehicle right-away? Not a feasible option for a fact. However, buying a car insurance rider comes of great benefit here. It certainly does not pay you entirely for a brand new car. However, it does reimburse the present value for the lost vehicle. That is quite a huge recovery. Kiss goodbye to unnecessary worries while driving - Signing up for a four wheeler insurance is a must. It has been stated repeatedly. Even then, switching to a basic car policy is not enough. You will still be shelling out riches, more than you think. Speak to a professional or dig into the details of a comprehensive insurance policy, topped with add-ons before providing your ascent. Just be careful that reckless driving can cost you your life. Drive safe and stay clear from any other worries. No Claim Bonus - A Broad Concept! Pointers to Learn! Frankly, NCB accounts for the discounts handed out to you by your insurer. There are a couple of Q’s that should pop up in your brain soon. For instance, is everyone entitled to reap the benefits of No Claim Bonus? Is the bonus paid out in the form of money? Well, it is worthy to get answers to these questions. Bear in mind, there are terms and conditions you need to be aware of. It is a reward the insurer presents you. Obviously, there has to be a catch. Just being a loyal customer won’t cut it. 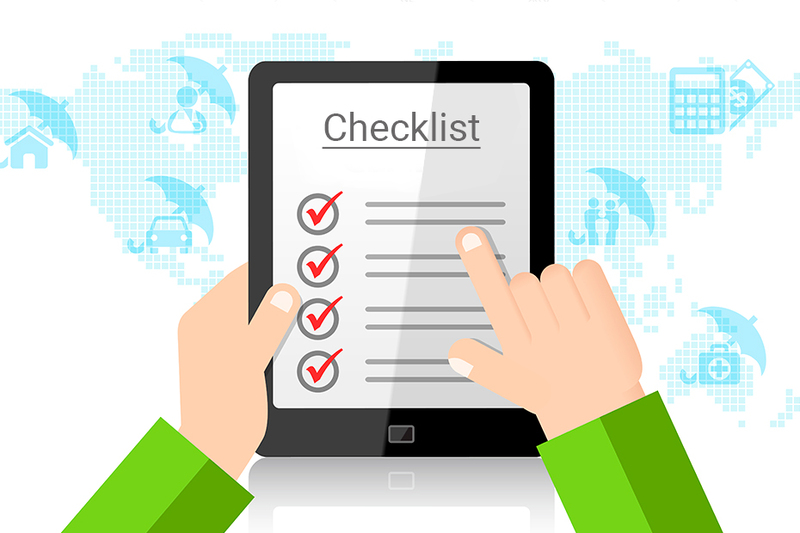 It is important for you to maintain a record and make no claims in the existing year. The bonus is paid out in the form of discounts. What are you thinking about? Relaxed that you can win hands on huge discounts if you haven’t proceeded with a claim for a year? Yes that’s true. However, in such a case, you can bag in very little discount. On the contrary, if you are on a hunt for greater discounts, you must ensure that no claims are made for consecutive years. More the duration, higher is the discount. Looking for numbers? The least being 20%, you can rack up as huge as a flat 50% discount. The doubt that springs up now is discount on what - the car value or any other handle? Well, this is an answer of great value. Discounts are granted on premiums charged for ‘Own Damage Cover’. Is NCB available to policyholders even when there is a change of vehicle? You might be insuring your hatchback for years now. Now that you are switching to a different car, are you worried that all your accumulated discounts and bonus could simply vanish? Well, don’t panic, the insurers have got you covered! NCB is easily transferred to your new registered vehicle. You won’t be experiencing any sort of cut-back in your discounts. If you are looking to rack up amazing discounts as huge as 50%, you have to keep tabs that no claim is made in a span of 6 years. It is indeed reckoned as a smart way to cut-down the cost of Own Damage premium at the time of renewal. In a nutshell, NCB is a bonus you are rewarded for every claim-free year. It is 100% transferable and can be obtained even if there is a change in the type, make or model of the vehicle. How to transfer NCB from one vehicle to another? Are you planning to buy a new car? It is a wonderful news. However, you must remember to seal the deal after wrapping up all formalities seamlessly. Curious to be educated about the do’s and don’ts? Here’s laying out all cards on the table. - To begin with, it is quite a simple procedure and if understood well, can be done with like a piece of pie. Start by picking out the buyer-seller agreement forms, 29 and 30, filling them out and submitting the same to your insurer. - Apart from the form, you are required to finish drafting a letter. The letter is more of a request to transfer the NCB accumulated to your existing insurer. - Post submitting the letter and other mentioned documents, the signed insurer must issue a NCB certificate. - If you are planning to switch gears from your existing insurer to a new one in the block, particularly during the crunch time of policy renewal, it is imperative that you give in a couple of mandatory documents. Wondering what that includes? Well, it primarily includes previous year’s policy document. A renewal notice could also be provided as a substitute. However, The renewal notice should highlight necessary NCB you are eligible to bag in. There is an exception though; if you are keen on applying for your policy online, it is quite possible that you might not be required to submit policy documents. The NCB will instantly be transferred based on your declaration online. If you are trying to indulge into any kind of fraudulent activity, stay clear from it. Regardless of you switching to a new insurer or sticking with your old one, cross-verification might be carried out by the insuring company. Therefore, do not think of crossing out any claims you’ve made previously while applying online. Is there a legitimate way to protect your NCB cover? The word ‘Bonus’ in the term No-Claim Bonus is tempting already. It is quite okay if you are in a dilemma to choose between opting claims or a NCB, you can stop thinking hard. Agreed that NCB is already an added top-up for extensive protection. However, there’s a little something that offers maximum protection to your NCB add-on. Eyebrows raised...... Surprised pleasantly? Well, hold onto that glee while the concept is best described. It is known as a NCB protect cover. As the name suggests, the rider safeguards your no-claim bonus, even when you are settling for a claim. What’s worth learning here is that the cover is subjected to a couple of restrictions. Citing an example is valuable here. The NCB protect premium for a particular vehicle is set to 1000-1200 rupees. This cover safeguards one claim in a year. Now, the same vehicle is protected by a NCB add-on, worth Rs 7000. In such circumstances, you will be able to save a good 6000 rupees for a claim. While settling for a claim, you will not simply be handed out the reimbursement. Instead, you will be provided some additional amount owing to the NCB protect cover. Can NCB be availed for an affected third party? No Claim Bonus is a discount that is applied to ‘Own Damage Cover’ only. It has nothing to do with a third party liability component. Therefore, you can reap the benefits of optimum third party liability cover. However, this does not ensure that you will also win hands on a good amount of NCB onus, irrespective of the years your policy has been renewed. No Claim Bonus is directly related to the policy holder and has no relationship with the vehicle whatsoever. Whether you choose to switch your vehicle or proceed further with a different insurer, the bonus accumulated over time will remain untouched. It is worth spilling beans on a ‘Sunset Clause’ here. If you are successful in bagging in a good 50% discount, the percentage of NCB discount will remain stagnant for the future years. In simple words, if you are an extremely skillful driver and do not opt for claims even after six years, where the NCB has burgeoned to a maximum of 50%, the percentage will no rise anymore. On the contrary, if there is a claim issued, the prevailing No-Claim Bonus grid will scale down to zero.